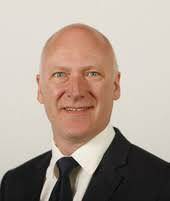 Scotland’s new drugs strategy will take a ‘health approach’ and address wider problems such as housing, mental health, family support and employment, the Scottish Government has announced. Rights, respect and recovery also aims to ensure that services ‘treat people as individuals’. The document replaces the 2008 strategy The road to recovery, and follows the new Preventing harm alcohol framework which was published earlier this month. The Scottish Government will produce an action plan for the strategy early next year, it states. 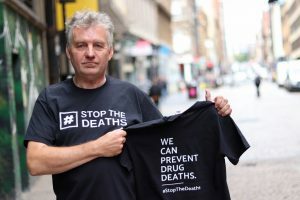 This year saw Scotland once again record its highest ever number of drug-related deaths, at 934 (DDN, July/August, page 4), with its fatality rate the highest of any EU country. Joe Fitzpatrick: Improving support is one of the hardest issues we face. The strategy, which also covers alcohol, takes a ‘human rights-based, person-centred’ approach, with a focus on those who are most at risk. Families will receive proper support and ‘be closely involved in their loved ones’ treatment’, while people who use drugs will also be diverted from the criminal justice system ‘where appropriate’. The strategy also places an emphasis on education and early intervention for young people and those at risk of developing problems. Stigma remains a significant issue, it says, and ‘needs to be challenged across the sector and society’, with integration of services also requiring improvement. While the Scottish Government remains supportive of consumption rooms ‘in response to clear evidence of need’, allowing them would require legislation from Westminster. ‘The Scottish Government will continue to press the UK Government to make the necessary changes in the law, or if they are not willing to do so, to devolve the powers in this area so that the Scottish Parliament has an opportunity to implement this life-saving strategy in full,’ the document states. David Liddell: This strategy could help to respond to a public health crisis. The focus on reducing ‘preventable overdose deaths’ was welcomed by the Scottish Drugs Forum (SDF). Deaths had ‘doubled over the period of the last strategy’, said SDF CEO David Liddell, and the new document contained key elements that could help to respond to what amounted to a ‘public health crisis’, such as faster access to opioid replacement therapy and cutting the numbers of people ‘forced out, or allowed to otherwise drop out’ of treatment. ‘Only time will tell whether this is effective but the indicators of success or failure will be clear and stark, and thousands of Scots’ lives depend on it,’ he said.